From a certain perspective I can see why most professions are guided by their governing bodies to base their practice on a peer-reviewed evidence base. For most healthcare practitioners working in this way plays a major part in their re-accreditation and State Registration; in effect being permitted to legally work with the public in a health profession. However, purely objective science only takes you so far when dealing with people. We’re all irrational from time-to-time based upon our individual idiosyncrasies, and there are certain circumstances where a grounding in the so-called ‘Seven Deadly Sins’ is more appropriate than a white lab coat and clipboard. My own MSc dissertation on ‘the white coat effect’ strongly suggested there are more atavistic impulses underlying human behaviour in healthcare ignored by modern cognitive theory. Therefore as we come up to the HPC registration period for Physiotherapists I thought a trip down the Lakeside memory lane was worth taking for our latest blog-piece, entitled ‘The Cowboy and the Coccyx’. Names, places, and companies involved are naturally removed for the purposes of anonymity. Enjoy. I came across our late-thirty-year-old (anti)hero when performing an ergonomic workstation assessment some years ago. The brief was to assess a chap with low back and coccyx pain related to sitting at his computer. The coccyx is the essentially the non-moving tailbone piece at the very end of the spine and, while low back pain is pretty rife in sedentary environments, it’s not often I see coccyx issues in gentlemen; so this was a novelty in itself. Essentially there wasn’t a great deal wrong with the set-up of his workstation from a Display Screen equipment, or DSE, perspective but he did have pretty poor slouched posture. He was sitting with the lower (or lumbar) part of his spine pointing outwards and, according to theory, unnecessarily loading the discs in his back. It’s a well established fact that this kind of posture can lead to low back pain given sufficient exposure. The chair was adequate and DSE-compliant for him with regard to his size, the desk type and the kind of work he was performing, so sometimes it’s a case of pointing out to employees that a new £800 chair isn’t actually required, just better and more upright posture 10-20% more of the time. Caught in a trap, can’t walk out….. The cause of the problem soon became apparent however when attempting to guide the employee into better posture by tilting his pelvis forward, thus entailing his low back could relocate to an opposite inward disposition (commonly called a lordosis) to that presently used. There was no, repeat NO, way that this pelvis was moving anywhere in those jeans. Even Elvis would have given himself a hernia trying to manoeuvre in this particular pair of Diesels. Essentially the jeans were too tight and the place where the seam held the leg and crotch material together pushed into, and rubbed against his, coccyx area (and it has to be said, testicles). Effectively the apparel a) pulled him into bad posture resulting in low back pain and, b) pushed into his coccyx area (which itself had been lowered toward the seat) causing local inflammation. Now, never let it be said that men can’t multi-task. Whenever I perform an ergonomic assessment my radar is constantly twitching for environmental cues that can elucidate and provide clues to the problem in hand. I had noticed since I walked in that several of the chap’s female colleagues had been sniggering and surreptitiously glancing over. At this point I stopped the assessment and accessed a side room for a de-brief with the employee. It appears he’d spent around £250 on this particular pair of jeans and there was no, reiterate again NO, way he was going to desist wearing them to an office where a casual dress policy prevailed, compared to his previous high-end corporate employer. 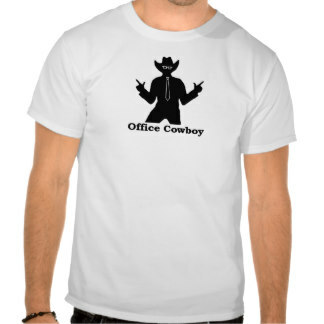 Talking to the employer later I found out that the employee figured himself to be an ‘office cowboy’, being the only male employee in a staff of mostly twenty-something females. He wasn't a pest at all, and in fact I was advised he was seen more as an object of fun for his self-delusion. So, the moral of the story? Well, according to evidence based practise there was an objective reason to supply a more effective chair for the employee’s conditions encountered i.e. a chair with a coccyx cut-out and enhanced inflatable lumbar support. However delve a little deeper and how does hard evidence-based science, devoid of more qualitative and relationship-contextual minutiae, explain lusty Lothario shenanigans in an office based environment? QED, I rest my case. Thanks for reading once more, Jason. p.s. He got a new chair by the way, in case you were wondering.